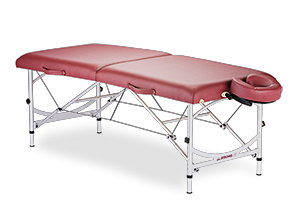 What constitutes a lightweight massage table? 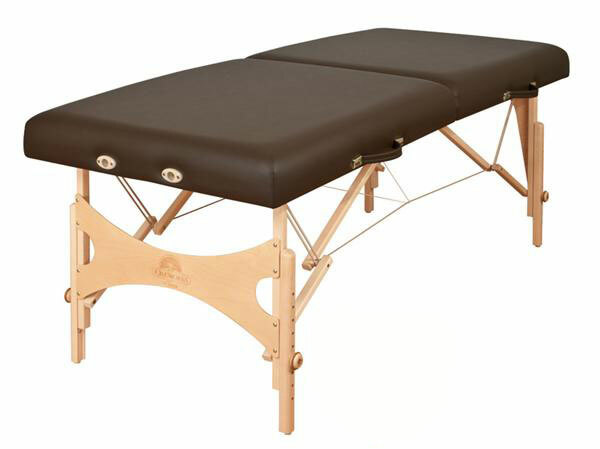 In this section we look at relative weights of massage tables from standard to lightweight to super lightweight. We are not looking at the specific construction of each table but rather at the weight categories (although we will add that every table mentioned in our review is one that we have used and sold). For more on choosing a table read Leif Montgomery’s Guide to Choosing a Massage Table in the Buyers Guide Section of this blog. While the specific weight of each massage table is useful information, we have found a discussion of relative weight to be more relevant for those choosing a portable massage table for transportation. How does the table “feel” to you compared to your current table? While 30 pounds may sound manageable – think about carrying your table up stairs, lifting it in an out of your car or carrying it for 2 blocks / 5 days a week! Standard Portable – 30lbs (add kilograms too for metric) and up. This is the most common category of portable tables used and sold today. The table shown in our video is the Oakworks Nova, Other tables in this group include the Earthlite Spirit, Nirvana 2N1, Stronglite Premier, etc. Lightweight – 25-30lbs. Here we look at the Stronglite Versalite. Others tables in this category are the Earthlite Luna and Oakworks Wellspring. You may have noticed that our measured actual weight varied by quite a bit from the manufacturer’s stated weight. Things like variations in fabric and foam can contribute to small variances in weight but over 1 pound is a big variance when you are talking under 30 pounds. Super lightweight – 25lbs and under. Here we looked at the Dharma Super Light. The other table we like in this category is the Pisces New Wave. Note – table weights generally refer to the table only and do not include the weight of the carry case or head rest. During actual use, you will tote a few accessories like a head rest and bolster which will add a few pounds. A carry case with well designed handles and shoulder strap will distribute the weight over your body making it easier to carry. Bulk – Besides weight, the bulk or size of a table also factors into the ease of transporting it. Always go as narrow as you can without sacrificing comfort. So now, we come back to the true test in choosing a table that will be transported and used for out calls. Lift it in the real world under working conditions! We have found over the years that most therapists, especially new practitioners, find that standard weight tables “feel” OK when you lift them the first few times. Many therapists re-evaluate after carrying their tables around for a few years. This is when practitioners may decide to explore purchasing a lighter table or they may even encourage their clients to buy their own table. 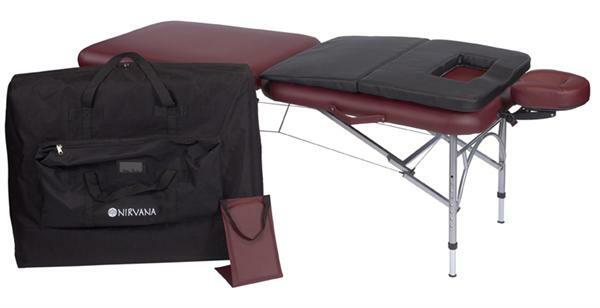 Lightweight Massage Tables can save the practitioner up to seven pounds! This may be too heavy for some people with back or strength problems. If you fall in this category then you should consider investing in a super light massage table. These tables feel remarkably and refreshingly light, as you can see on the video, “woo hoo”! When you get under 25lbs, even 1-2 lbs variations can make a big difference, so choosing foam and fabric variations to save weight makes sense. Intro to Status and the Decentralized Web!